Strike up support for these stars! 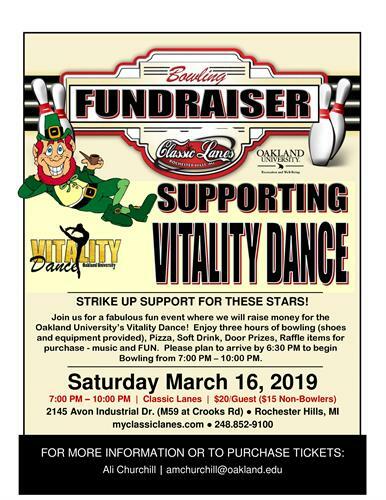 Join us for a fabulous fun event where we will raise money for the Oakland University's Vitality Dance Team! Enjoy 3 hrs of bowling, pizza and pop, along with raffles items. Sponsorships welcome and donations accepted.